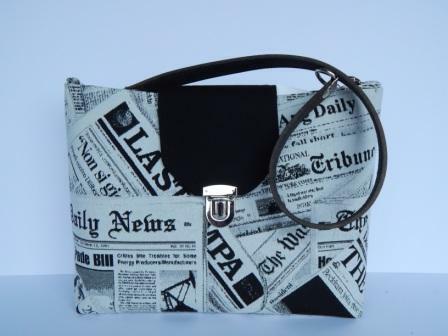 Make headlines with our Dorcas newsprint handbag. Black & white newsprint fabric. Black canvas flap. Chrome push lock closure. 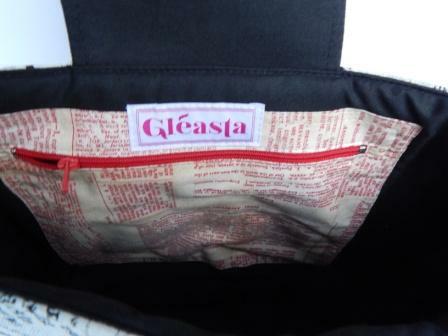 Black lining with red newsprint zipped internal pocket.